Environmental scientists are studying a massive die off of fish in the Lempa River, El Salvador's largest river which also passes through Honduras and Guatemala. 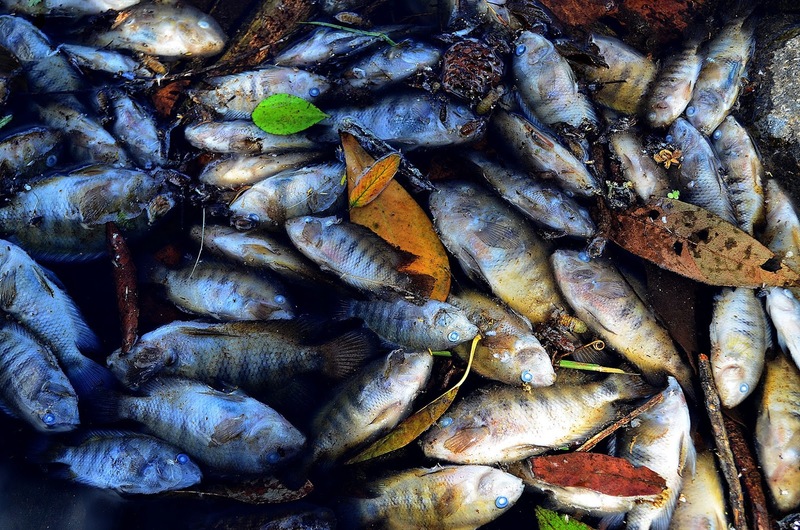 This photo gallery from Univision shows some of the eco-tragedy affecting this important river. Activists are blaming industrial coffee processing in Guatemala for dumping their waste products untreated into the Lempa. "Aguas mieles" produced during the process of de-pulping the coffee berries is a known water contaminant. Discharging those wastes is being labeled "eco-cide" by those affected. El Salvador's environment minister called on her counterparts in Guatemala and Honduras to consult on what steps needed to be taken. The Lempa River is more than 422 kilometers long and is an important source of water for agriculture and hydro-electric power in Central America and for sustenance of the people who live by its banks.